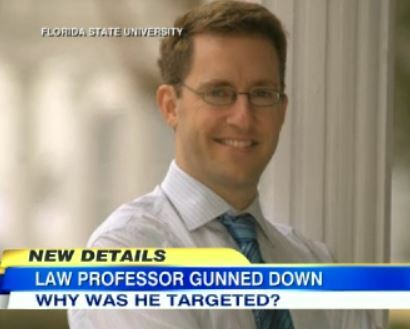 Dan was on Good Morning America, Thursday, July 24th to discuss the mysterious murder of a law professor from Florida State University. Dan Markel was shot and killed at his home in Tallahassee on Friday July 18th and police have suggested that he was the intended target. Police are investigating a car that was spotted near the scene of the crime and have set up a tip line. However, the case remains a mystery as there are no suspects, no sign of a forced entry into the house and there is not enough information to suggest that it was a contract murder. Says Dan, “This was not random. It wasn’t a break-in. It wasn’t a robbery. That he was the intended victim here. And I think that’s the reason that they’ve gone public with that information.They want to reassure the public there, the neighbors, et cetera, you don’t have to worry, there’s not a killer out there on the loose. This was someone who was specifically targeted and that’s a really important clue.” Watch the full clip here.